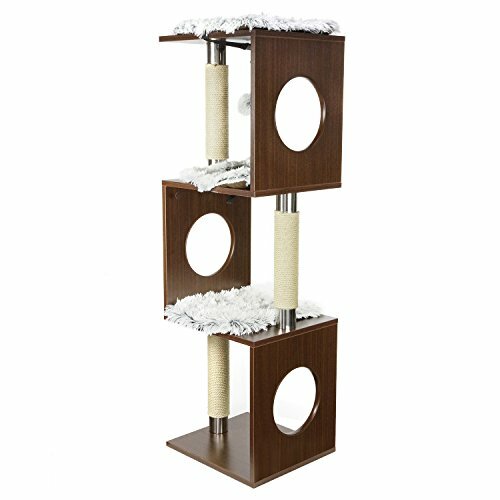 If you are looking for a cat tree without carpet your options have greatly expanded in the last few years. 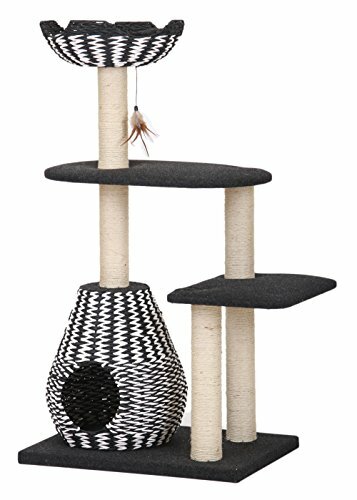 Nowa days, you can find cat trees in all shapes and sizes. 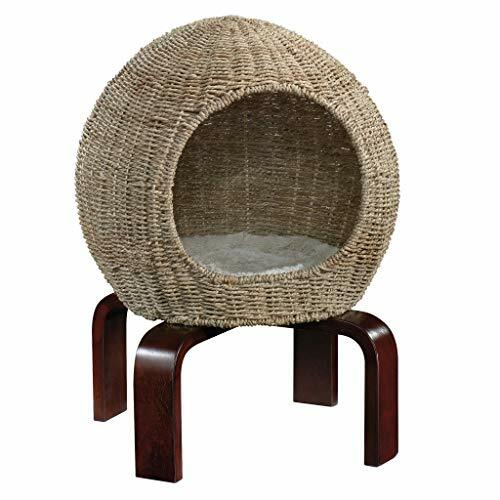 They range from bare wood to those covered in an assortment of very sturdy fabrics or cushions. 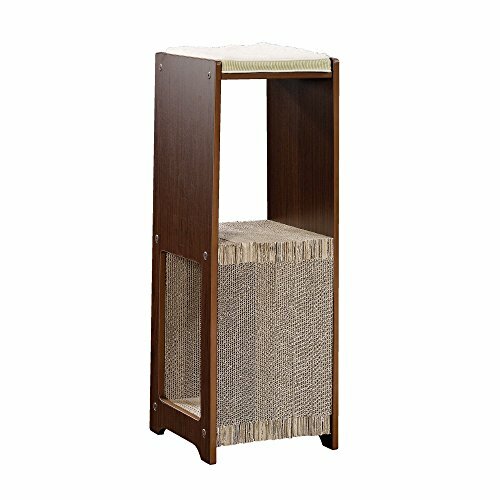 This broadens your range of colors and patterns as well as making it easier to replace the coverings when they become worn. 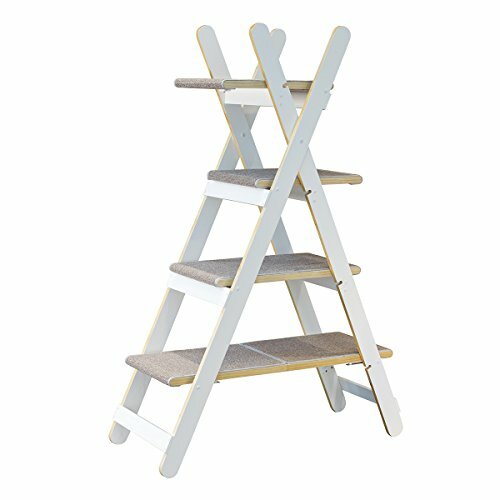 Some folks tell me they are easier to clean as well for sure the bare wood ones are. 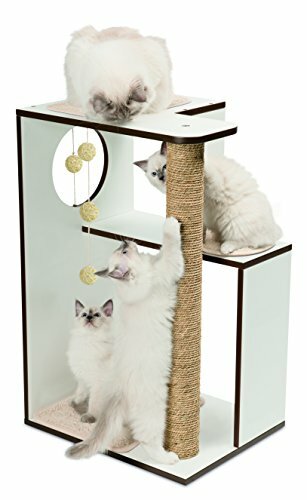 So to help you in your search we humbly offer up these cat trees without carpet. 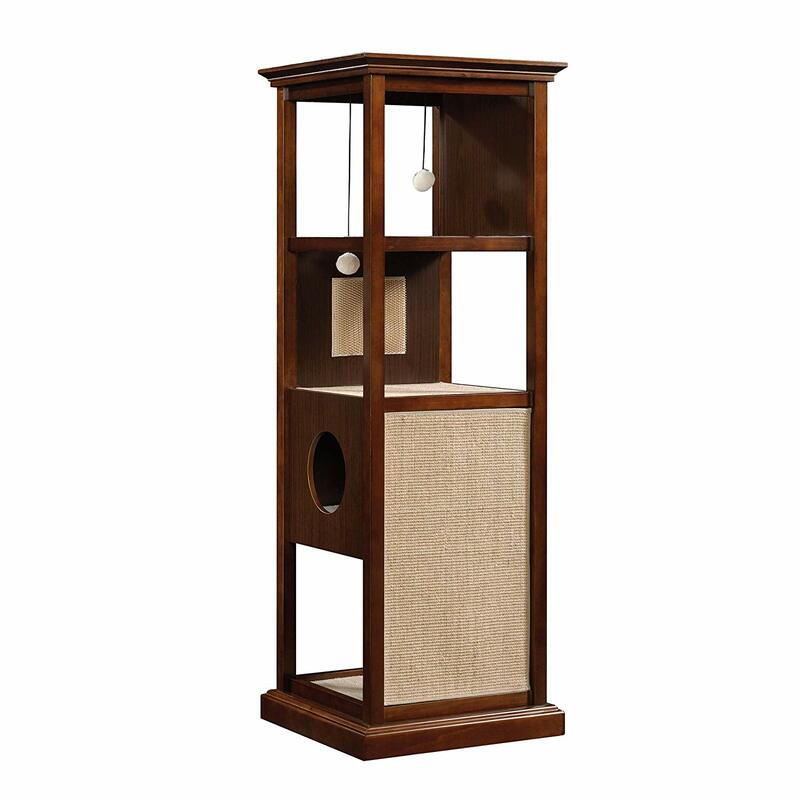 Sauder Modern Cat Tower is one of the coolest cat trees without carpet we’ve seen in a long time. 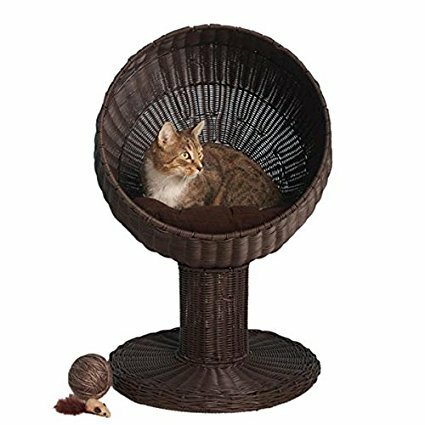 It’s elegant and stylish providing your kitty a super cool and distinct cat play area for your beloved fluff ball while enhancing your home decor. 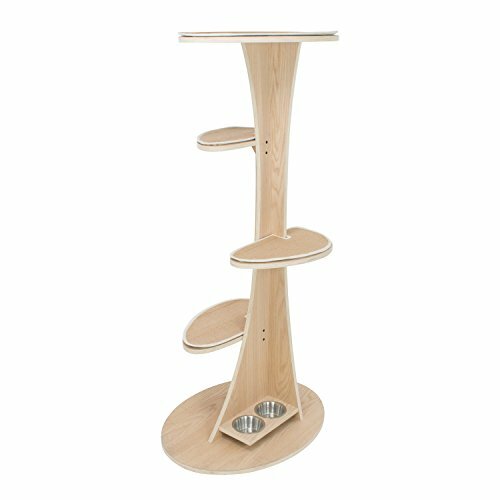 This vegan friendly cat tree is made of solid and laminated wood in a lovely deep cherry finish. 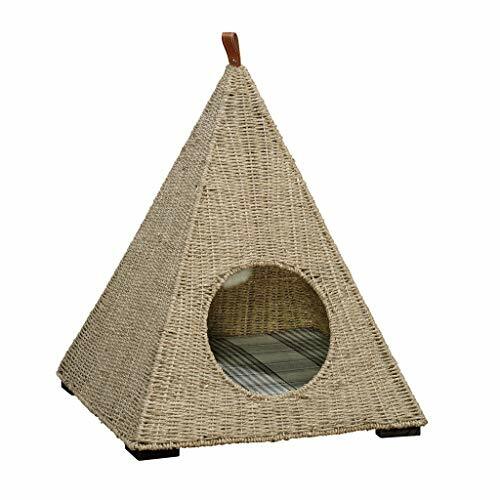 Bonus items include both a corrugated and sisal scratch pad, small toy on a bouncy elastic string, wall mounted cat comb (you know how kitties like to rub on these) and an easy to clean removable cushion inside the condo area. 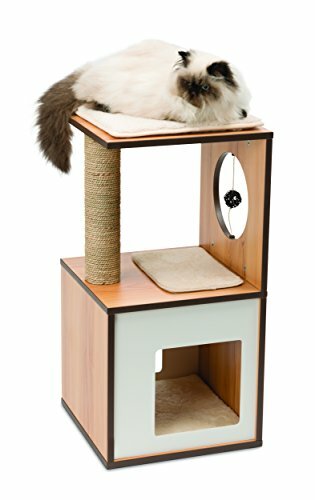 Vesper Cat Furniture is stylish and modern this cat condo has no carpet to catch dander so is very allergy friendly to most human cat slaves. 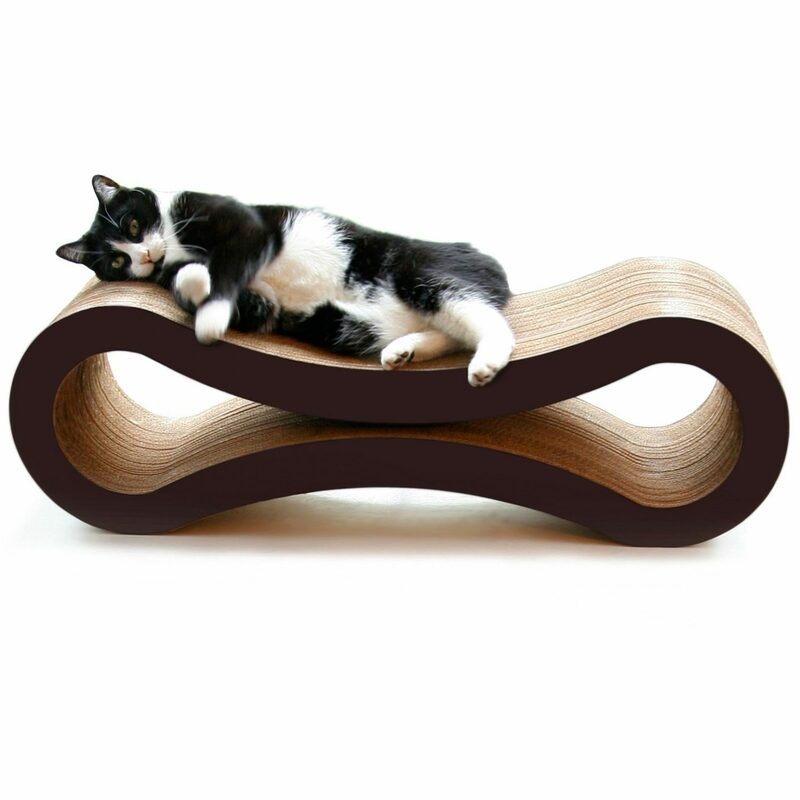 It also has plenty of spots to sit, stretch, curl up and be admired from all angles so it’s sure to please even the fussiest of felines. 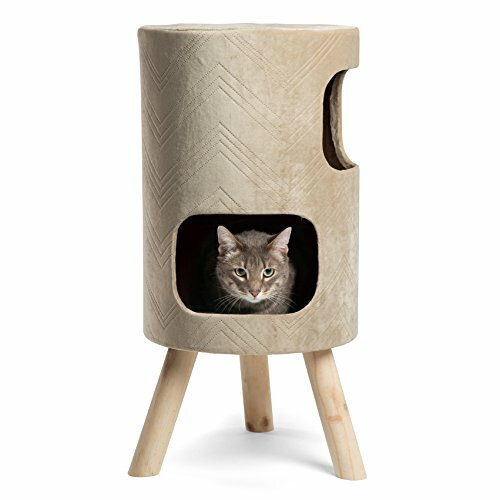 At 32 inches high this cat tree is just right for looking out the window and the memory foam cushions insure maximum comfort while bird watching and squirrel taunting. 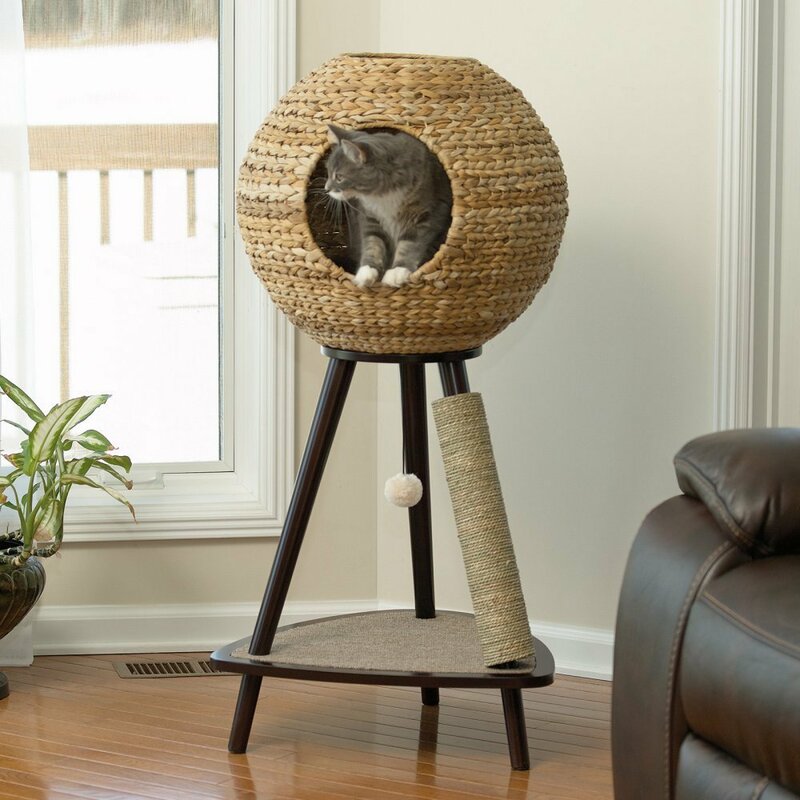 Sauder Natural Sphere Cat Tower is the most unique cat tree we’ve seen in a long time. 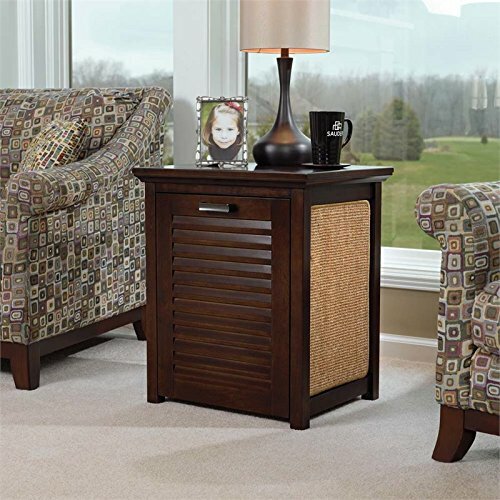 It’s made of engineered wood with a dark brown finish. 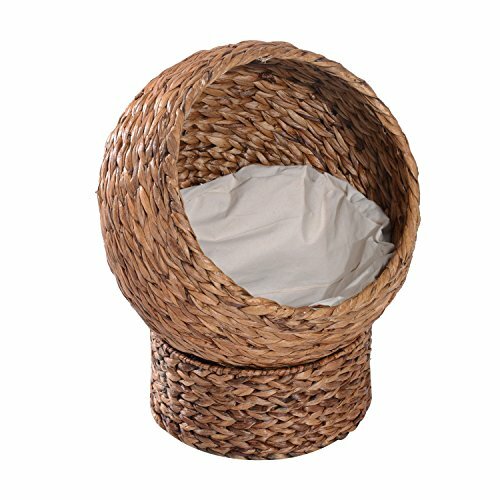 It has sisal wrappings and wicker construction using real banana leaves. 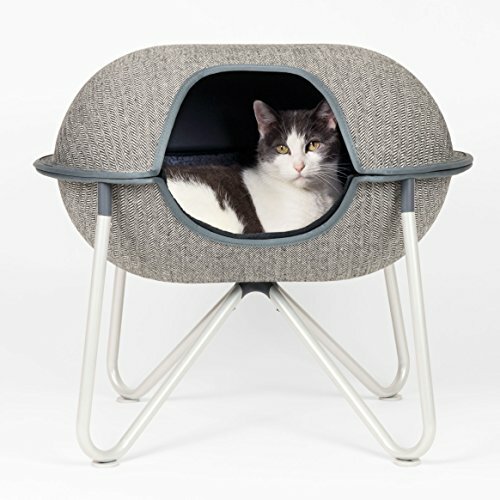 The globe has two circular openings for kitty to spy on you out of. 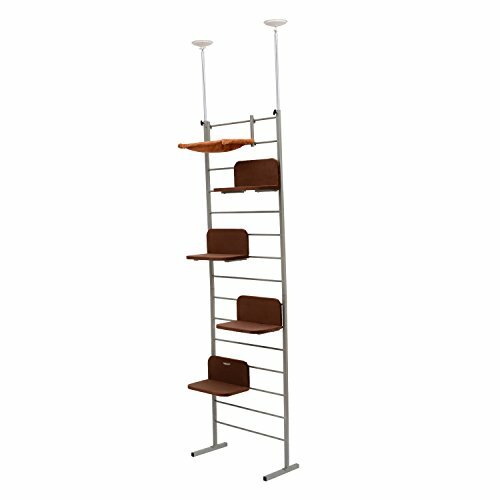 One on on the side and one right up on the top. 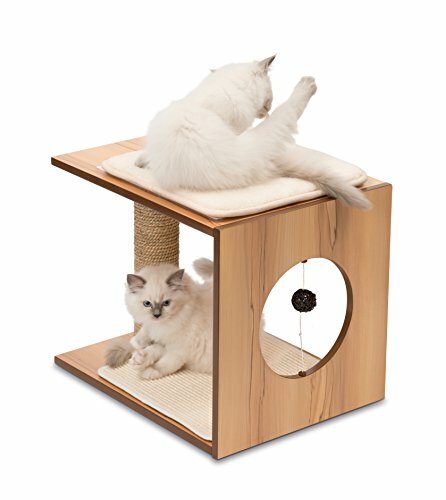 This cat tree without carpet is sure to be a show piece in your home and a great conversation starter. 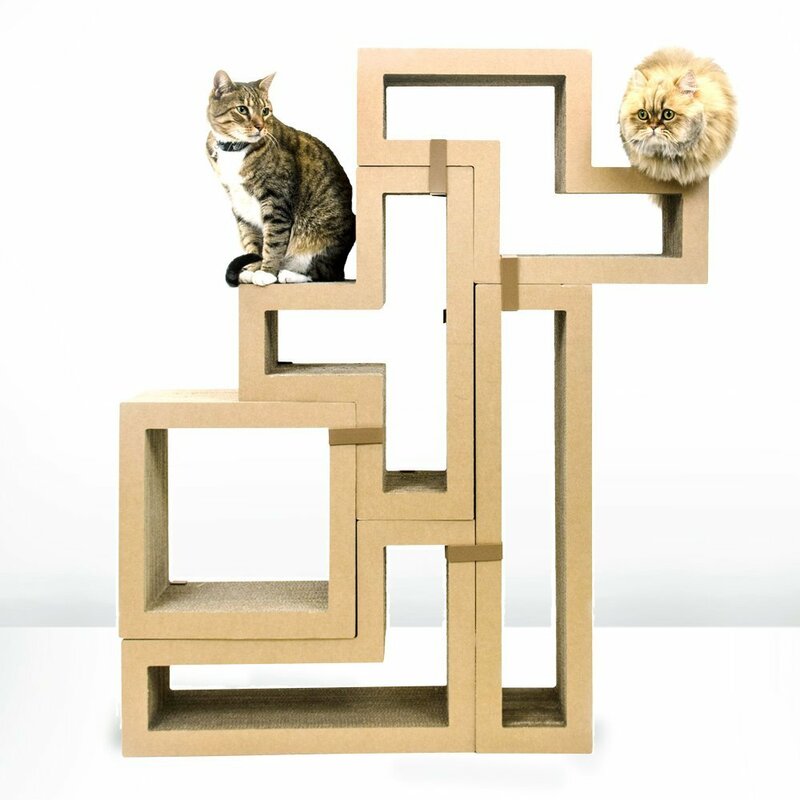 Tetris for Cats! 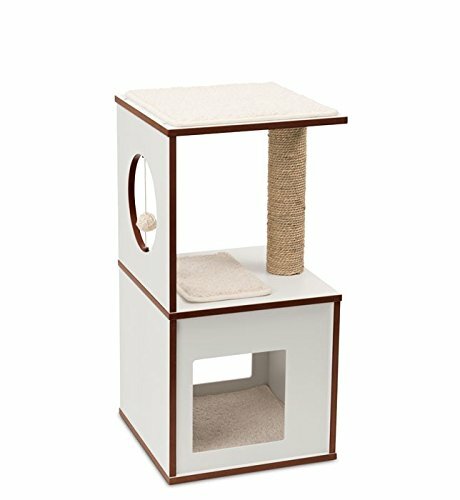 We can’t say enough good things about this cat tree without carpet from Katris. 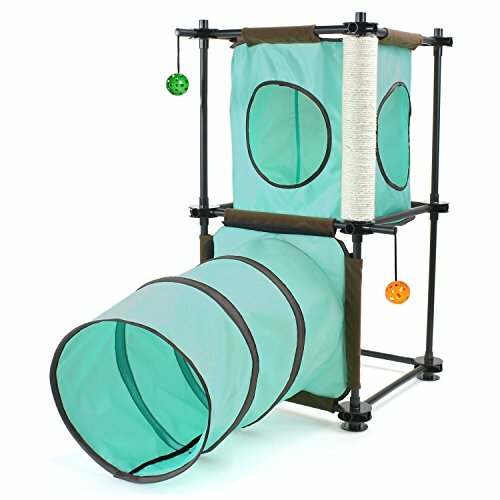 Modular, fun, funky, super cool! 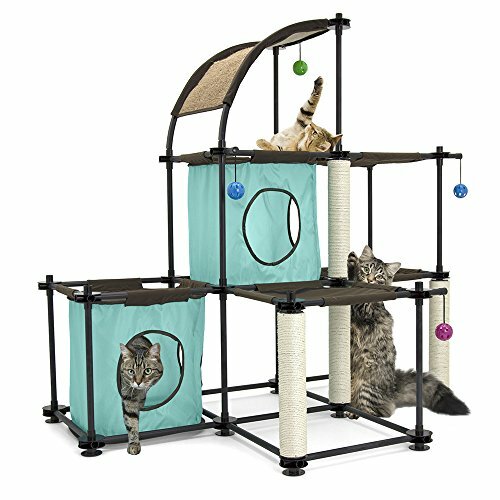 All these and more spring to mind while we gape at this sweet feline playground. 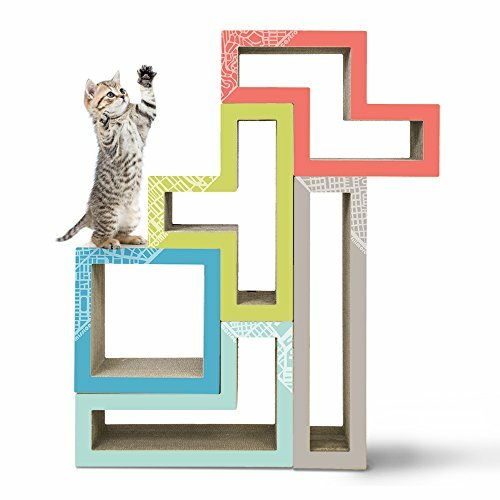 Made from paper and certified non-toxic glue each piece of this kitty jigsaw puzzle can hold up to 300 pounds! 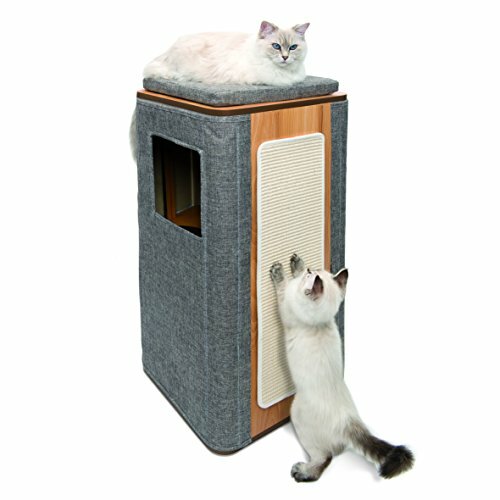 Designed for cats AND people these modular units can double as kitty condo land and coffee table, book case, shoe storage… the uses as well as the shapes they can be made into are as limitless as your imagination. 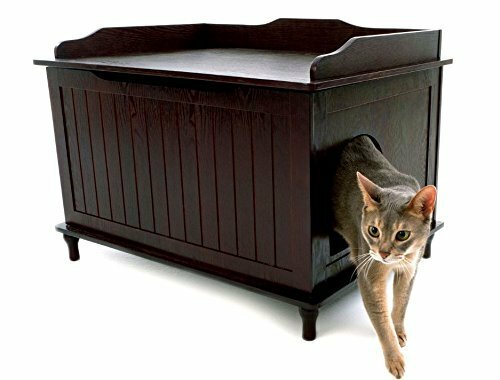 We even saw one person using them for wine storage and his cat didn’t seem to mind. 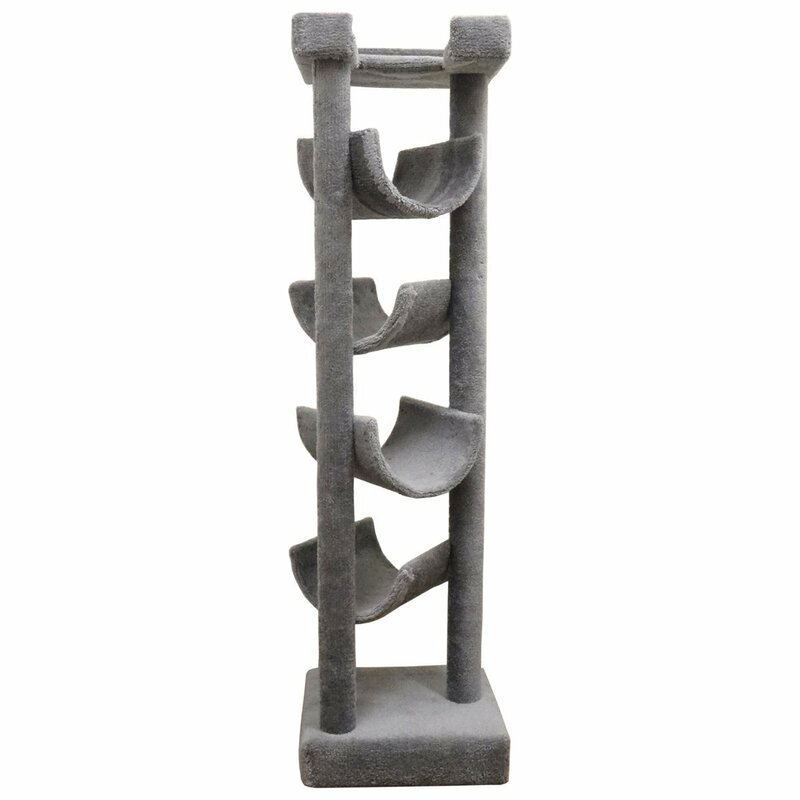 Each shape can be ordered separately or you can buy a bundle of 5 (one of each shape) for a discount. 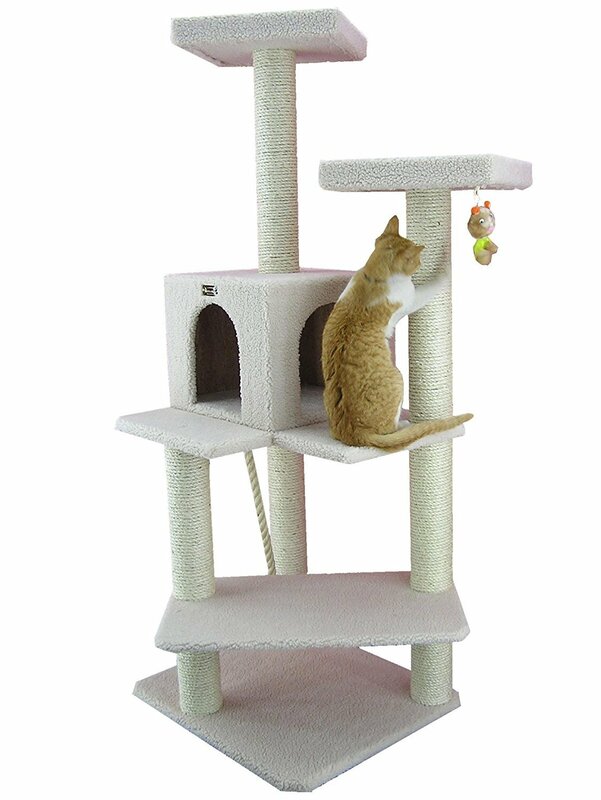 Be sure to click the link above and check out the video of cats and their people using these cool cat tree thingies. 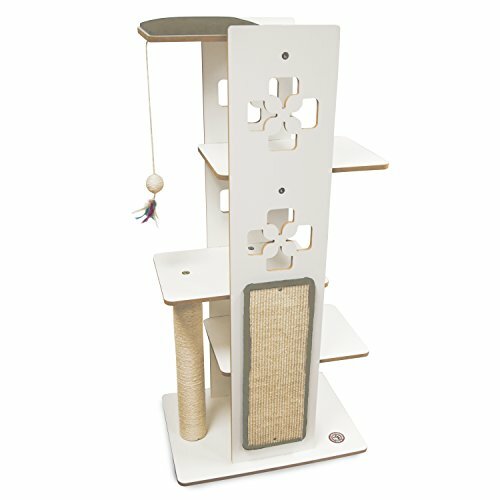 What cool collection of cat trees without carpet would be complete without the Refined Feline Lotus Tower Cat Tree? 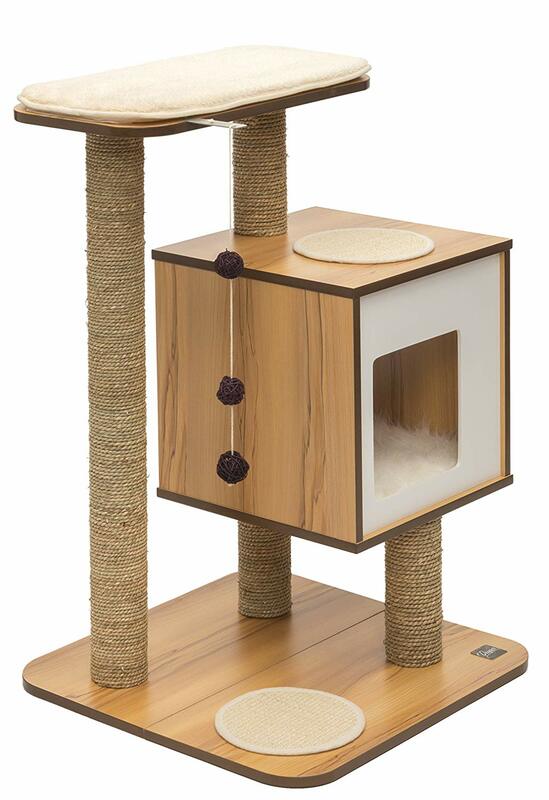 It’s the ultimate in all wood cat tree luxury. 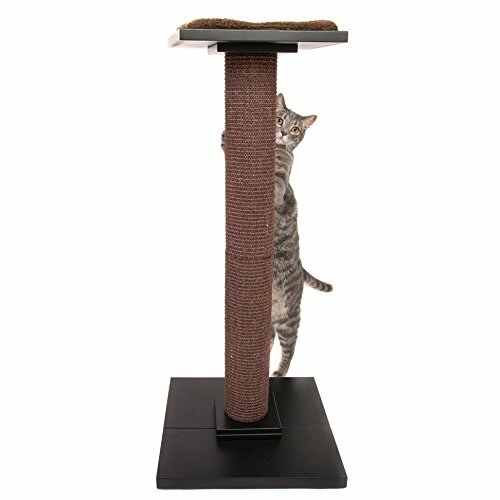 So sleek and unique it really started the craze and set the standard for modern cat tree furniture. 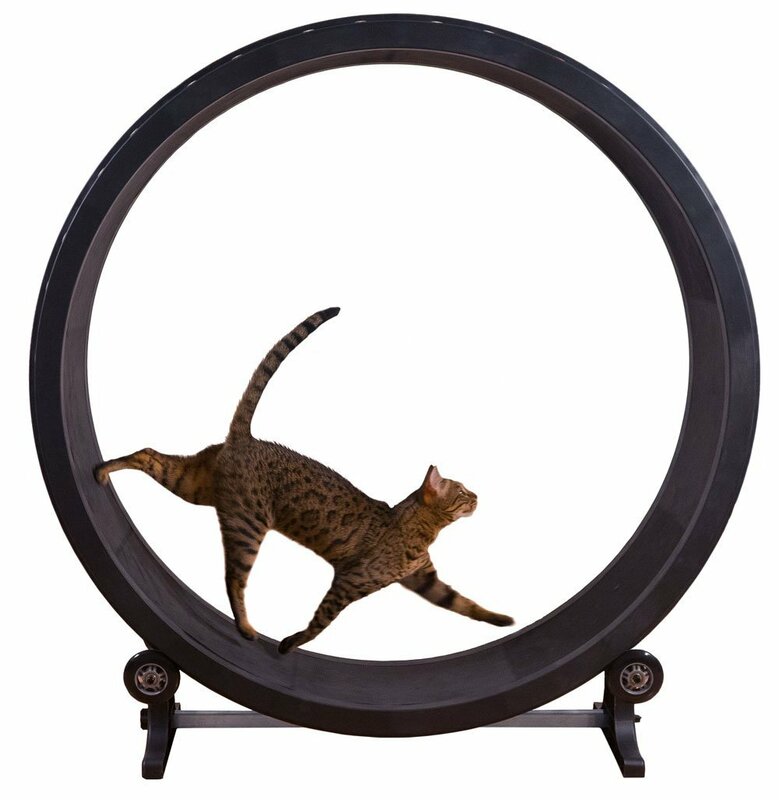 Don’t be fooled by it’s elegant and artistic lines. 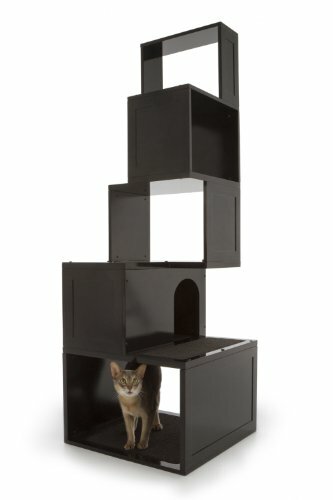 This is a working cat condo. 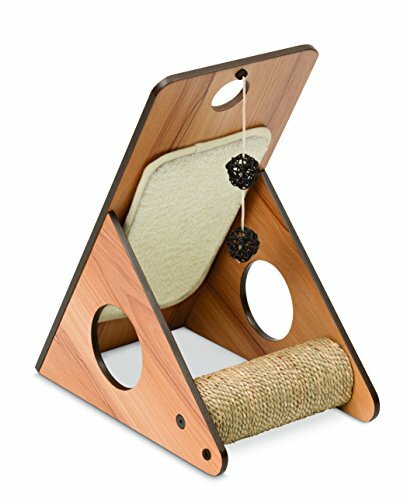 Most people get so caught up in the cool shape that they miss the cat cubby built into the bottom and the scratching pads attached to the sides. 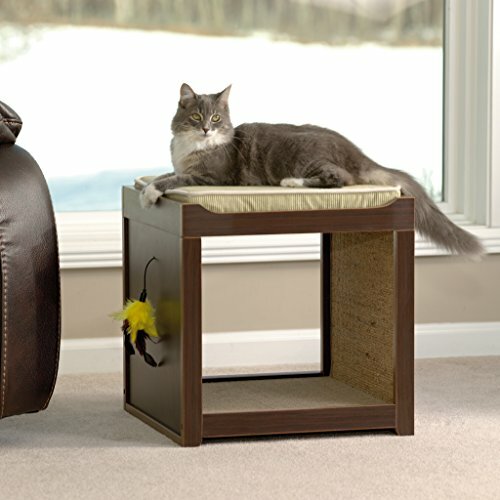 Removable platform pads add just that extra bit of comfort to this outstanding piece of cat furniture art. 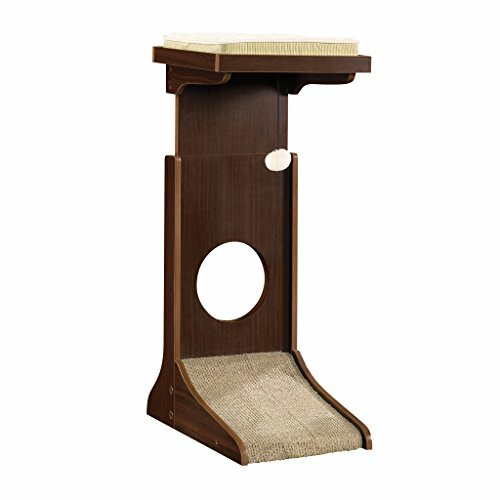 The Amarkat Premium Pinus Sylvestris Wood Cat Tree doesn’t have a single carpet fiber on it. 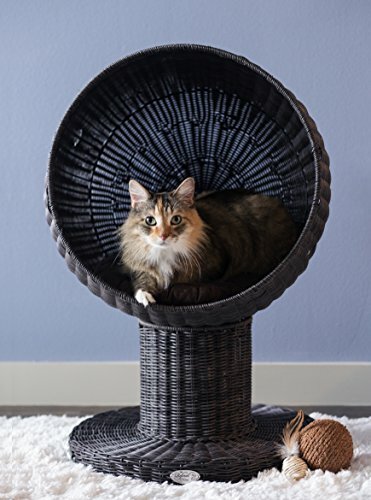 Made from plied pine with a polishes surface for both beauty and easy cleaning it won’t collect cat hair like carpet does. 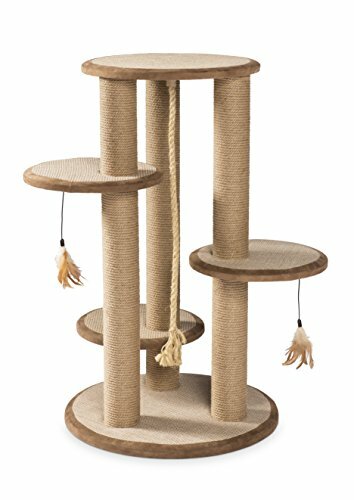 The wood posts are completely wrapped in sisal rope so the whole cat tree is also a scratching post. 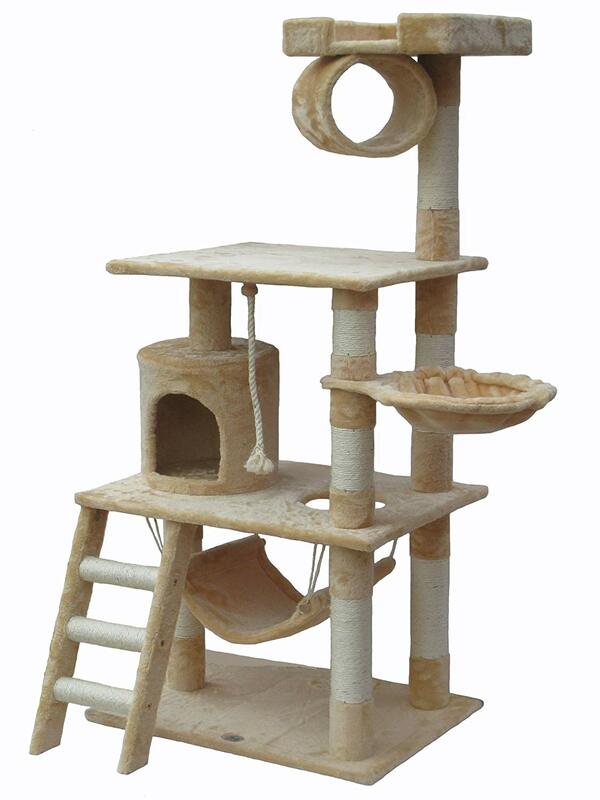 It has four perches and one condo sleeping box at the top of the tallest tower. 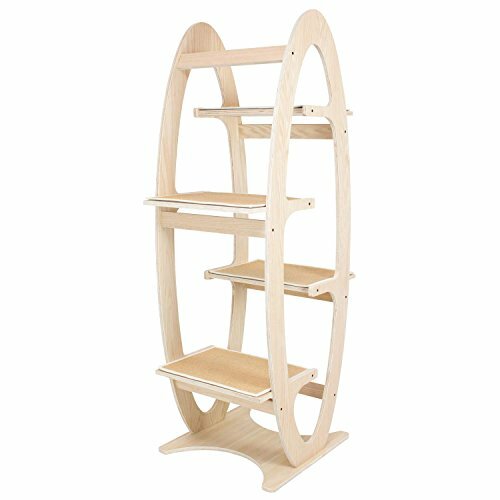 Easy to assemble and shipped right to your door. 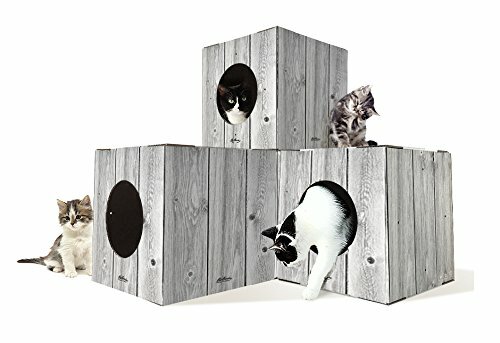 Aren’t these cat trees amazing? 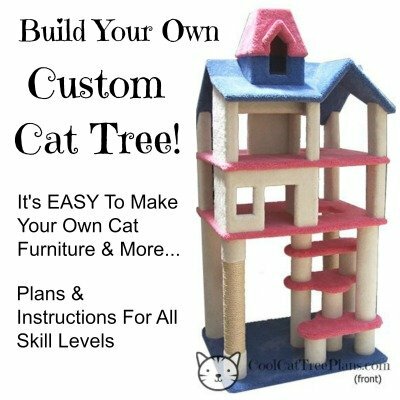 Back in the day, when dinosaurs roamed the earth and we started this blog, we kinda thought that all cat trees were covered in carpet or some other fabric. But now we know better. 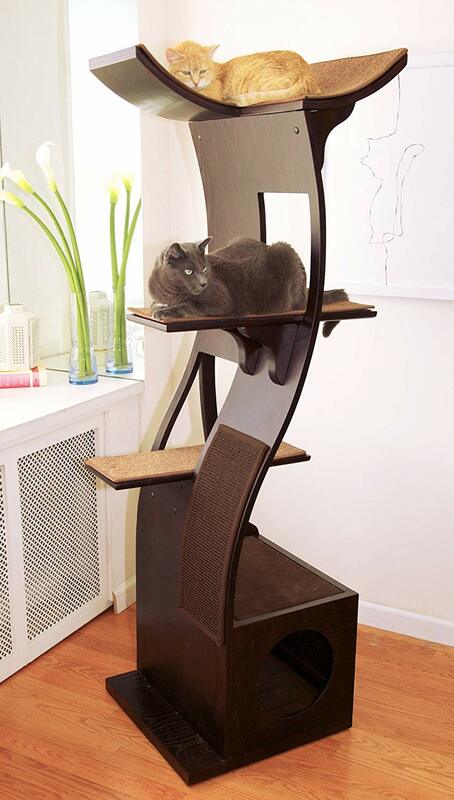 There are AMAZING cat trees without carpet out there. 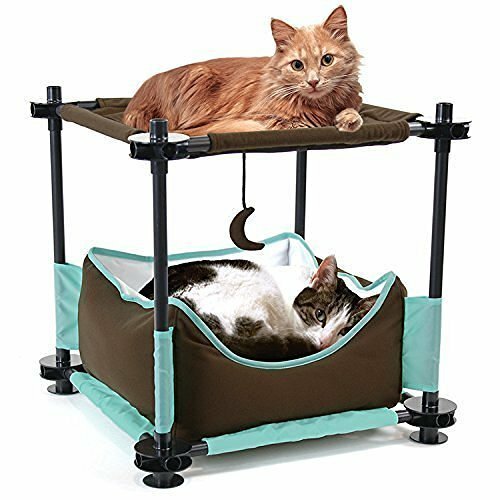 Real pieces of functional pet furniture you’ll be proud to showcase in your home and more are being brought to the market all the time. 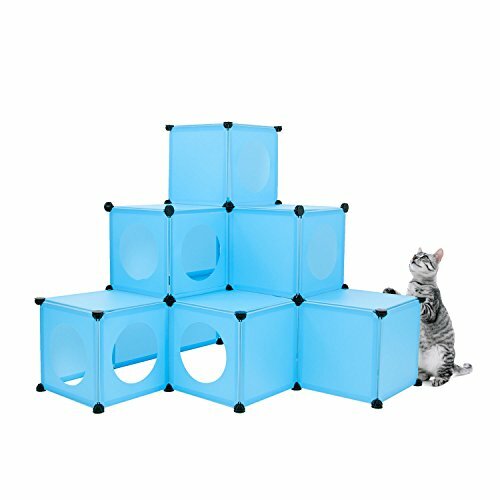 Watch this space (or follow us on Pinterest or Twitter) for updates as we find them. 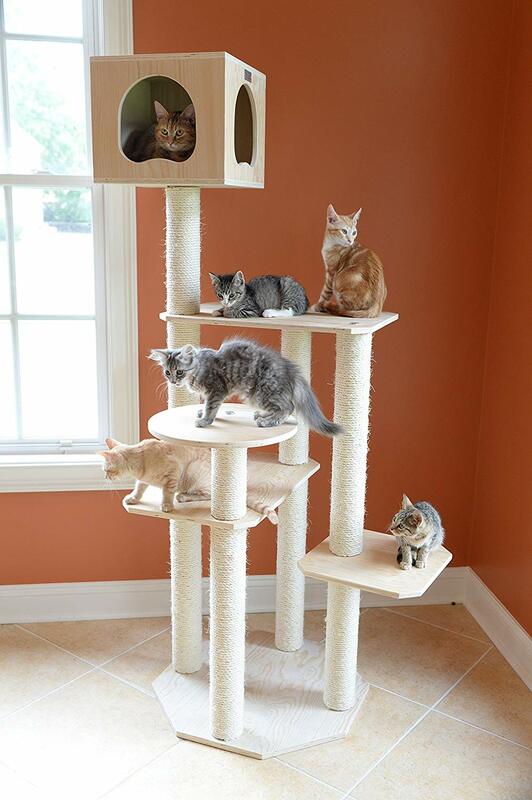 Follow us on Pinterest so you never miss a Cool Cat Tree! 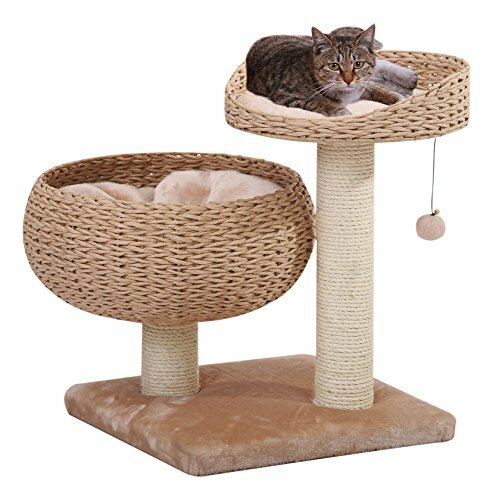 Like This Cat Tree Without Carpet Page? 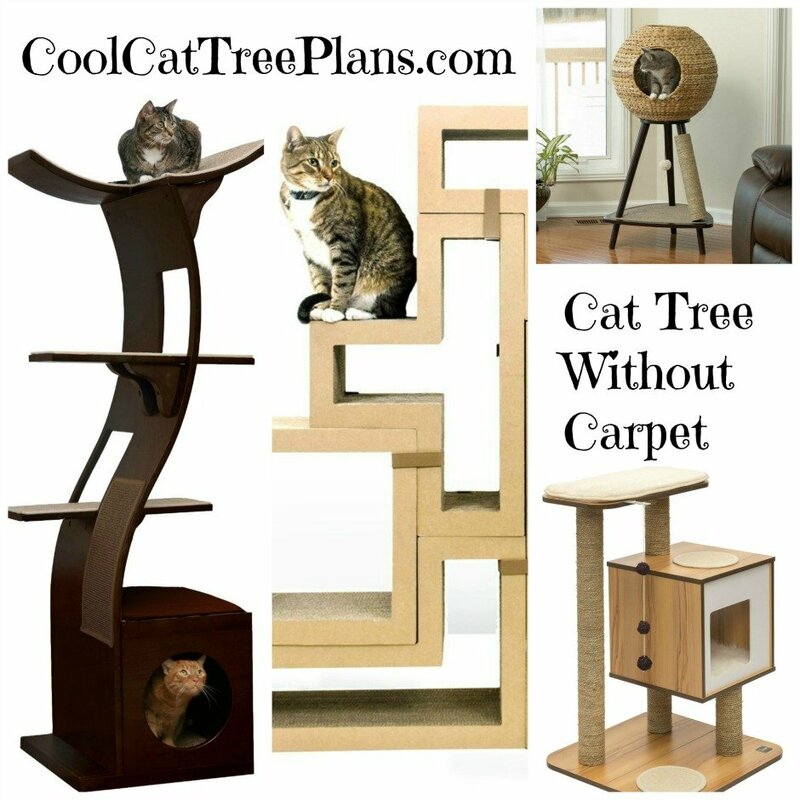 Return to Cool Cat Tree Plans home page.